Baar, Switzerland: October 15, 2014: Veeam® Software, the innovative provider of solutions that deliver Availability for the Modern Data Center™, today announced that it is collaborating with Microsoft and VMware to help partners extend their availability offerings to the cloud. 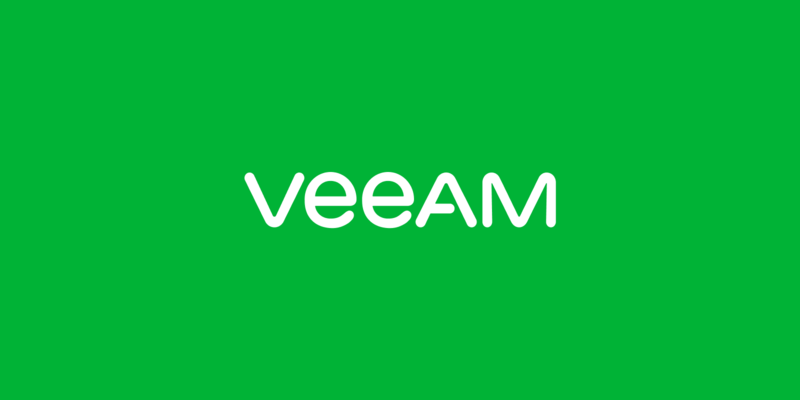 Specifically, Veeam is working closely with both Microsoft and VMware to ensure that Veeam Cloud Providers (VCPs) will be able to seamlessly deploy Veeam Cloud Connect in Microsoft Azure and VMware vCloud Air. As the largest subsegment of the storage management software market, the backup/recovery software market grew 6.8% in 2013 to $4.7 billion, which was slower when compared with 2012's growth of 8.1%. The growth was, in part, a result of the demand for integrated solutions for cloud-enabled backup/recovery and the increased need for information management. As businesses look to extend their operations into the cloud—public or hybrid—data protection is an ideal candidate. Through its close partnerships with Microsoft and VMware, Veeam continues to lead the market in delivering a robust solution to meet customer needs. Veeam recommends that IT organizations follow the 3-2-1 rule: Three copies of data on two different kinds of media, one of which is off site. Veeam enables IT to satisfy the offsite requirement without having to invest in offsite infrastructure or management, since cloud resources are available on demand. As part of its commitment to deliver robust cloud-based availability, Veeam recently announced Veeam Cloud Provider (VCP) partners that will provide support for cloud backup with Veeam Cloud Connect on the first day of Veeam Availability Suite™ v8 general availability, eliminating the need for customers to deploy costly off-premises infrastructure. Integration of Veeam Cloud Connect with Azure and vCloud Air will be of particular interest to existing and new members of the Veeam ProPartner network who want to become service providers and offer availability in the cloud, without investing in their own cloud infrastructure. Veeam Cloud Connect, part of the new Veeam Availability Suite v8, gives Veeam customers a fully integrated, secure and efficient means to move backups to an offsite backup repository managed by the service provider of their choice; thus avoiding the upfront capital investment of their own offsite infrastructure. Service providers get a simple, powerful platform to deliver fast and secure backup to the cloud for over 111,500 Veeam customers. In fact, Veeam Cloud Connect is so simple to set up that any Veeam ProPartner can become a service provider and offer offsite backup services to customers in less than 10 minutes using the service provider’s own cloud infrastructure or VMware vCloud Air or Microsoft Azure. For more information, please visit http://www.veeam.com.